Updated Hamptons home! 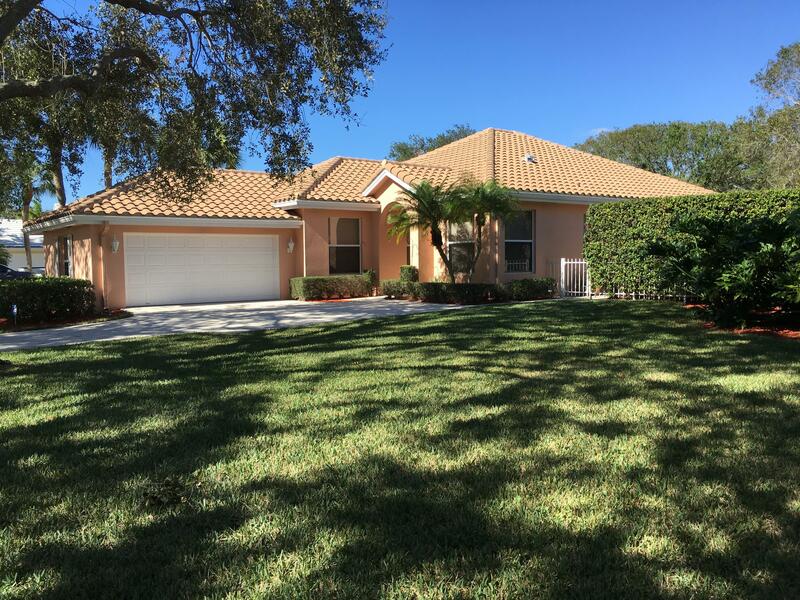 Located on Enormous lot @ the Hamptons in Beautiful Jupiter, private park like setting. Granite counter tops, white Kitchen cabinets, open kitchen concept with eat in breakfast area sunny and bright. Large open floor plan, including tiled floors and crown molding. Wood flooring in master bedroom. Roof & a/c were replaced in 2012. Pool/yard are very private(NOT a cookie cutter) imagine a tiki bar for entertaining, swing set, trampoline etc. Plenty of room. Shows immaculate and clean as a whistle. WONDERFUL Jupiter SCHOOL DISTRICT. Easy to show call Kim. Lot Dimensions: Extra Extra Large Lot!